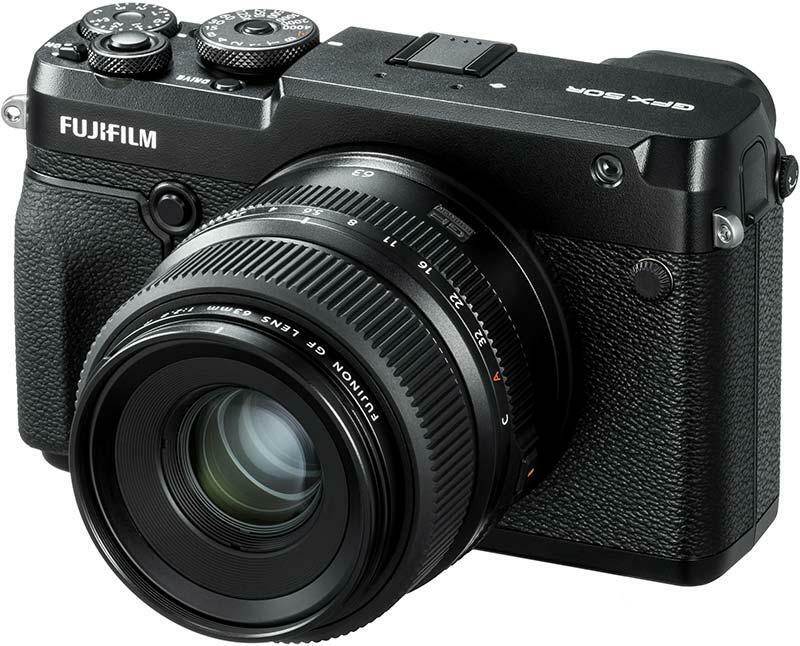 The Fujifilm GFX 50R is a rangefinder-styled medium-format mirrorless camera that's smaller and lighter than the GFX 50S (145g less and 25mm thinner). The 51.4 megapixel GFX 50R rangefinder camera allows you to keep your eye on a subject while looking through the the 0.77x 3.69M-dot organic EL electronic viewfinder (EVF) with the other eye. It is the first model in the GFX system to support the Bluetooth low energy technology, while the magnesium alloy body is weather-sealed in 64 places to provide dust and weather resistance and ability to operate at temperatures as low as -10. The GFX 50R will be available in November 2018 for $4500. 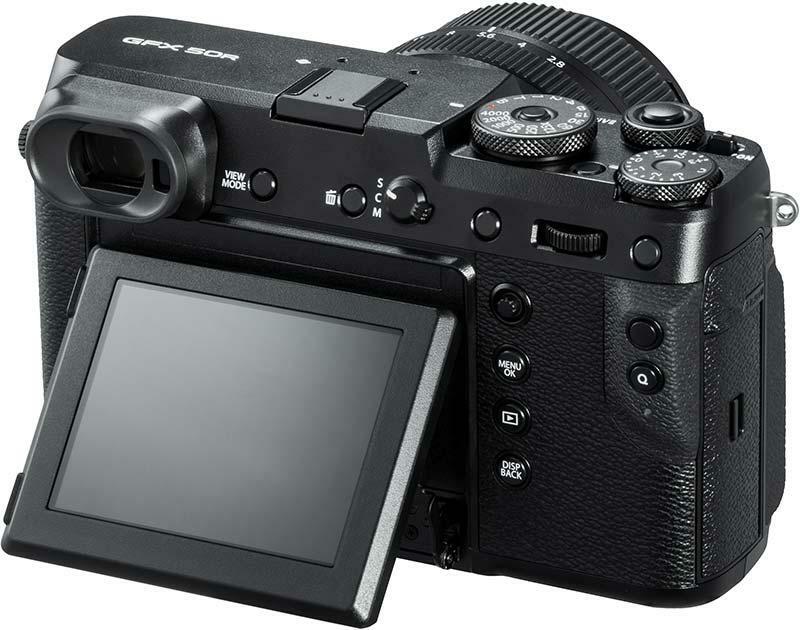 PHOTOKINA 2018, COLOGNE, GERMANY, September 25, 2018 -FUJIFILM Corporation (President: Kenji Sukeno) will launch a medium format mirrorless digital camera FUJIFILM GFX 50R (GFX 50R), which features the FUJIFILM G Format (medium format, 43.8x32.9mm) image sensor, which is approx. 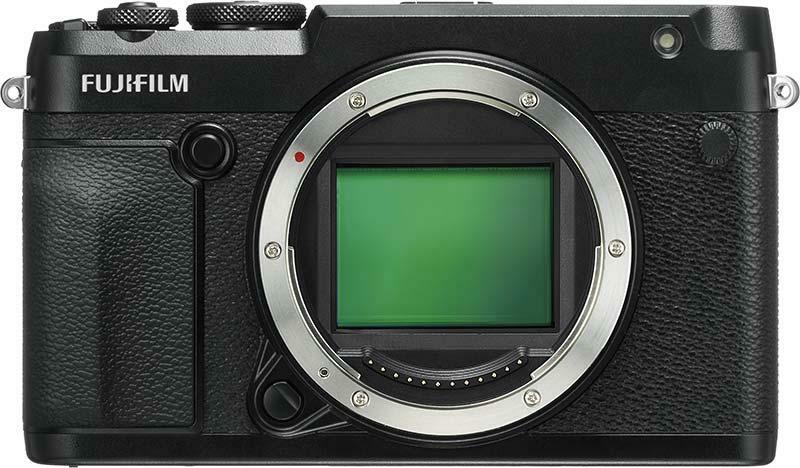 1.7 times the size of a full frame 35mm image sensor (*1). The GFX 50R is approx. 145g lighter than the GFX 50S (weighing 920g with EVF). The camera body is just 66.4mm thick, 25.0mm thinner than the GFX 50S. The medium format (43.8mm x 32.9mm) “G Format” sensor has better per pixel light reception capability than that of a 35mm full frame sensor of the same resolution. Furthermore, the micro lenses have been designed to optimize the light gathering performance and image resolution as well as the handling of data from photodiodes are customized to achieve a superior level of image quality, surpassing that of existing cameras that use a sensor of the same size. As a result, the GFX 50R delivers images that precisely reproduce the subject’s texture, three-dimensional feel and even the atmosphere of each scene. The GFX 50R is equipped with the Focus Lever to allow quick adjustment of the focus point. 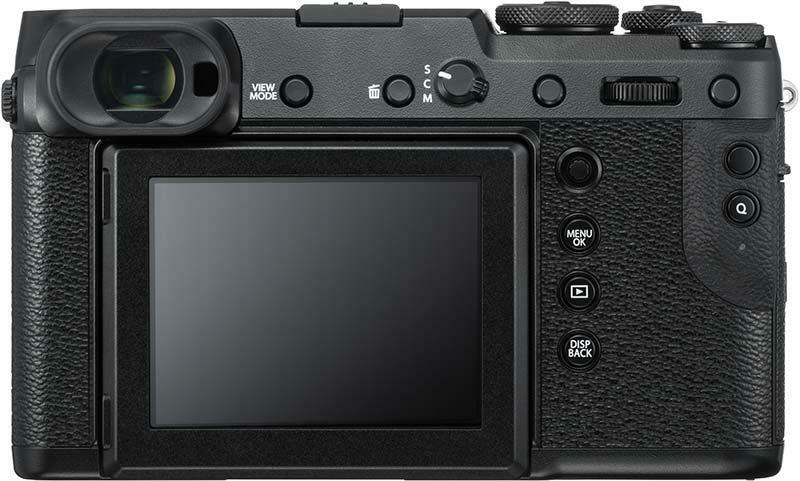 The elimination of the selector buttons provides extra space to hold the camera better. The top panel sports two dials, one for shutter speed and the other for exposure compensation. The milled aluminum dials give the camera a premium feel and satisfying clicking touch. The robust magnesium alloy body is weather-sealed in 64 places to provide dust and weather resistance and ability to operate at temperatures as low as -10. Its durability caters to the needs of all photographers. The medium format mirrorless system, GFX system, currently offers a lineup of seven FUJINON GF lenses, covering focal lengths from 23mm (equivalent to 18mm in the 35mm film format) to 250mm (equivalent to 198mm in the 35mm film format). All GF lenses are able to resolve up 100MP which means they are future proof. They are also dust and weather resistant and designed to operate at temperatures as low as -10? so that they withstand professional use in harsh conditions. Shutter speed Mechanical Shutter 4sec. - 1/4000sec. (P mode), 60min. - 1/4000sec. (All modes) Bulb mode (up to 60min. ), TIME: 60min. - 1/4000sec. Electronic Shutter*3 4sec - 1/16000sec. (P mode), 60min. - 1/16000sec. (All modes) Bulb mode (up to 60min. ), TIME: 60min. - 1/16000sec. Electronic Front Curtain Shutter*4 4sec. - 1/4000sec. (P mode), 60min. - 1/4000sec. (All modes) Bulb mode (up to 60min. ), TIME: 60min. - 1/4000sec. Mechanical + Electronic Shutter 4sec. - 1/16000sec. (P mode), 60min. - 1/16000sec. (All modes) Bulb mode (up to 60min. ), TIME: 60min. - 1/16000sec. Electronic Front Curtain Shutter + Electronic Shutter*3*4 4sec. - 1/16000sec. (P mode), 60min. - 1/16000sec. (All modes) Bulb mode (up to 60min. ), TIME: 60min. - 1/16000sec. Continuous shooting Approx. 3.0fps (JPEG: Endless Lossless compression RAW: 13 Frames Uncompressed RAW: 8 Frames) *When Using the Electronic Front Curtain Shutter Approx. 1.8fps (JPEG: Endless Lossless Compression RAW: Endless Uncompressed RAW: 8 Frames) *Recordable frame depends on recording media. *Speed of continuous shooting depends on shooting environment and shooting frames. Movie recording [Full HD (1920×1080)] 29.97p / 25p / 24p / 23.98p 36Mbps up to Approx. 30min. [HD (1280×720)] 29.97p / 25p / 24p / 23.98p 18Mbps up to Approx. 30min.